Sony XBA-2iP review | What Hi-Fi? Sony’s been grabbing headlines for its TVs, Blu-ray players and home cinema amps over the past few months. But what about its headphones? 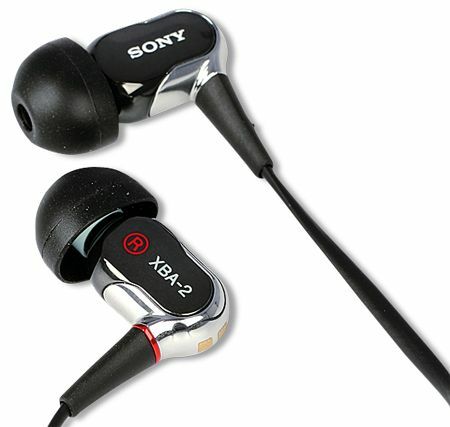 The XBAs come from the company’s mid to upmarket Prestige earbuds. You can also buy a vanilla pair without the inline gubbins (the XBA-2) for around £20 less. Sound quality is great. Spin Santigold’s The Keepers in 320kbps and they sound tuneful and exciting. Agility and precision is up there with the very best at this price, and the spacious delivery allows for plenty of detail all the way up the frequency range. We can’t fault these buds – even call quality is good. Well worth a listen.